First, the West Linn girls soccer team ruled its non-league foes. Next, they took care of the opposition in the Three Rivers League. After that, they wiped out three straight playoff opponents to reach the Class 6A state semifinals. Now, they rule again in the Three Rivers League all-star voting, landing six players on the all-league first team and seeing 11 players honored in total. Second-year coach Lauren Pyrch was also named TRL Coach of the Year. "As you can see, we had a great year," Pyrch said. "The girls worked so hard and had the best attitudes." The Lions, who went unbeaten in the TRL and finished their season with a 16-1-1 mark, had the following players win berths on the all-league first team: senior forward Rae Peters, senior forward Sophie Conrad, senior midfielder Calli Masters, junior midfielder Jill Brody; junior defender Maddy Gross; and sophomore defender Cami Fulcher. The team's six seniors, Pyrch said, were the unquestioned leaders this season. "I can't thank the six seniors enough; they were the heart and soul of our team," she said. "They provided such great leadership on and off the field and no task was too big for them. They were fun and made our team fun." Also honored for West Linn were: senior goalkeeper Alyx Burkhartzmeyer (second team); and honorable mention picks Rosie Larsen (a junior forward), Olivia Wattles (a senior forward), Carmel Corrigan (a junior midfielder) and Abbi Nelson (a senior midfielder). 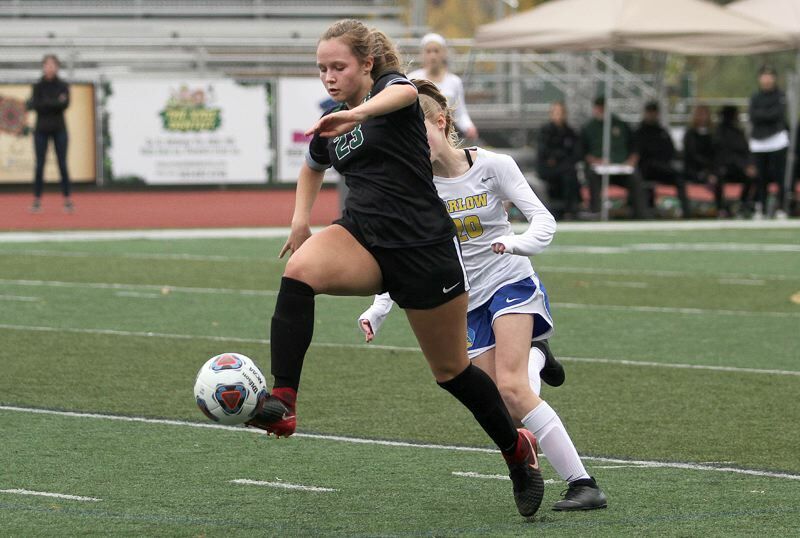 Among the team's other accomplishments were: the Lions won their first TRL crown in eight years; the team went two months without a loss or tie; West Linn posted 12 shutouts and outscored its foes 48-5; and 13 of the team's 25 players scored at least one goal. While Pyrch was selected as Coach of the Year, Lakeridge freshman goalkeeper Abby Pressnell was named TRL Player of the Year for 2018.